Our latest completed website redesign is for Borton-Lawson Engineering Architecture. 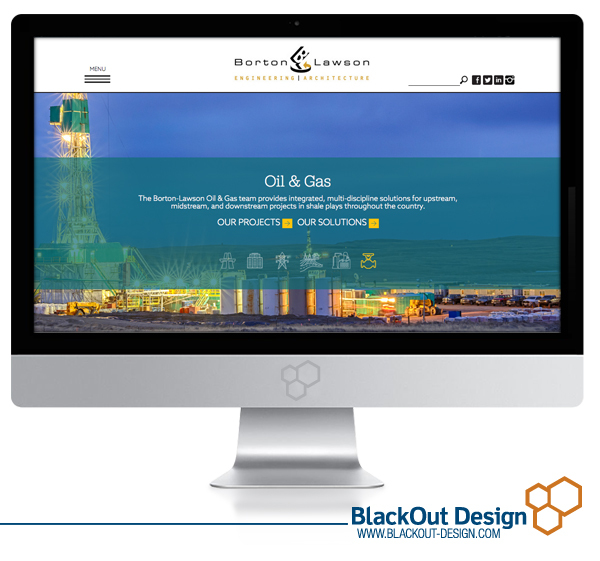 The firm, well known throughout the Northeast and Mid- Atlantic region of the country, came to BlackOut looking for a website design that would reflect the company’s innovative, effective and long-term solutions. Our team of artists wanted the site to highlight the wide range of services the firm provides while keeping information, both text and photography, well organized. Jess drew inspiration from Borton-Lawson’s impressive projects and portfolio, neatly organizing each endeavor by industry so that prospective clients can easily find the information they need. In addition, our team ensured that the site was responsive while bright pops of color makes the content easy to read on any device.